Click http://tinyurl.com/ndp8spb for Thompson’s Google Calendar to get school holidays, early release days, and PTO events on your own calendar. Click http://tinyurl.com/y7u5k2on for a printable version of this month’s calendar. 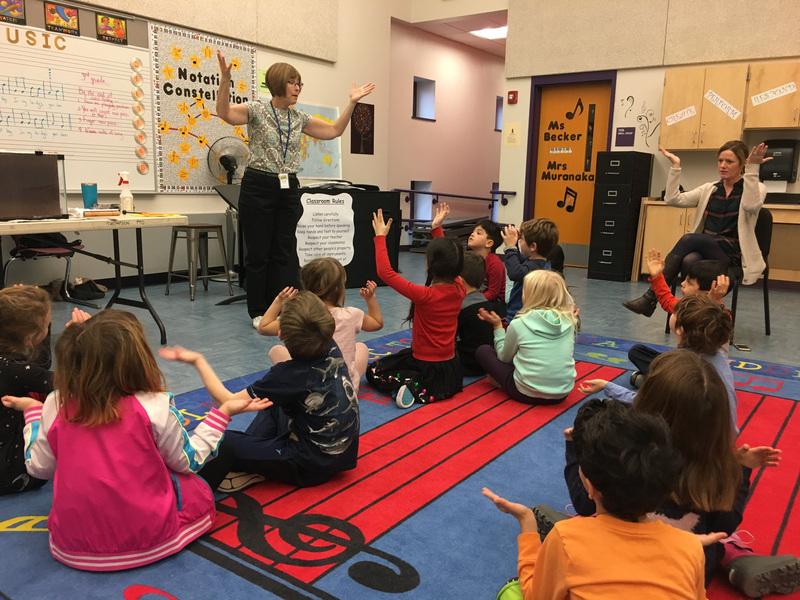 1st graders became meteorologists when the Discovery Science Museums visited on January 22, 2018. In addition to creating three types of clouds using shaving cream, students watched thermometers at work, learned about the water cycle, and saw a suspended cloud made with dry ice. Thanks PTO! The CDC is reporting an increase in flu activity and predicts there will be weeks more to come. It is not too late to receive the flu vaccine. The Arlington Board of Health still has a supply of both adult and child vaccine. If you are interested in receiving the vaccine please contact Jessica Kerr, Public Health Nurse at 781-316- 3140. Join us for a conversation with Sara Fernandes Burd, Arlington’s new Director of Guidance and Social-Emotional Learning (SEL) and learn about SEL. Discover what SEL actually looks like for your student! Mrs. Burd will share information about the field of SEL, discuss how Arlington is supporting the SEL skills of all their students and provide tips and resources on how families can support their students in and out of school. Q & A to follow. Nurse Christina would appreciate sock donations as many children are coming in from recess with wet feet – thank you! Don’t forget: Yearbook orders for the school wide yearbook are due on Wednesday January 31st!! If you’d like to take a look at last year’s yearbook it’s available to view at the front desk. Arlington EATS is a local organization whose mission is to address childhood hunger in our community. 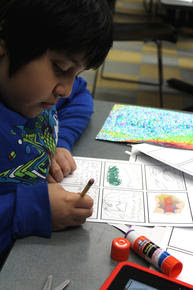 Through its various programs, the organization has been working in the Arlington Schools since 2014. Did you know that EATS started its work at Thompson and its founding members include a Thompson teacher, a staff member, and parents? One of its programs is the monthly Community Meal. Launched in 2017, the meal provides community members an opportunity for a freshly prepared, sit-down dinner. The Thompson cafeteria is transformed into a pop-up restaurant and resonates with camaraderie and communal goodwill. Approximately 80-100 number of meals are served during the dinner. As a host school for this program, the Thompson PTO will sponsor the February Community Meal, which will be held on Thursday, February 8th from 6-7pm. Thompson families can participate in this evening of community service by volunteering to help during the meal. Please sign-up http://www.signupgenius.com/go/10c0549a9a62fa4ff2-eats1 to volunteer. Children are welcome to join! If you would like to help sponsor the meal, click https://thompsonschoolpto.org/fundraising/help-the-pto-sponsor-arlington-eats/ to make an online donation or send in your contribution (check or cash) in an envelope marked Thompson PTO/Community Meal in your child’s backpack by February 5th. Checks should be made out to the Thompson PTO. 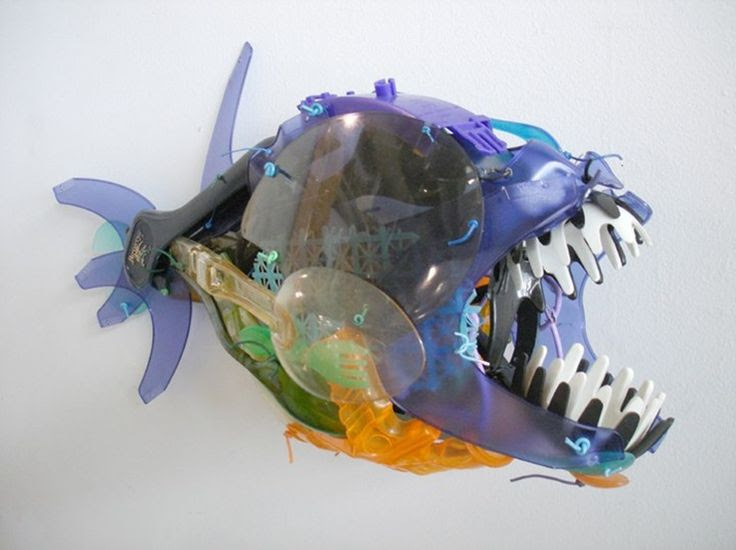 On Friday Feb 2 and March 2, the Green Team will be working on ideas for the March 24 Arlington Ecofest Trashformations. This year’s theme is “Ecosystem Superheroes.” Thompson will focus on decomposers, nature’s recyclers! The Arlington Ecofest happens March 24th at Town Hall. Green Team meets on the first Friday of the month 2:30 pm – 3:30 pm in the Conference Room. Please Contact Elizabeth Rocco at egrocco@gmail if you are interested in being a Green Team parent volunteer! Have you been purging your house after the New Year? Well, this is your chance to get rid of all the games and puzzles that your kids have outgrown. Donate them to the PTO to be sold at Game Night. A designated box will be located in the school’s front lobby during the whole month of February. Thanks in advance for your contribution. I am the Thompson parent representative on the Gibbs Parent Advisory Committee. We sent the following to Superintendent Bodie and Principal DeFrancisco on January 24, 2108 and we want to share it with the community. If you have further questions or concerns please let me know. The Gibbs Parent Advisory Committee aims to be a resource to the district by offering the perspectives and feedback of parents prior to decisions, announcements, and public meetings. To this end, we met to outline agenda items for our next meeting with APS leadership and a future Community Forum. This list includes both our questions and ones we have received from the community. We recommend that you lead the next public meeting with a presentation of the educational vision and mission for Gibbs. Can we discuss the next iteration of this vision and mission before the next public meeting? What’s the current thinking on personalized/individualized learning at Gibbs? Is this still part of the vision and if so how will it be implemented? What is the plan for stocking the Gibbs school library? What is your vision for the PTO at Gibbs? What educational philosophy and development considerations drove the decisions and choices? Can you please create a definition/ explanation document for Gibbs courses/ schedule for review? What (if any) bootcamps for students/parents do you intend to offer? Examples subjects might include S-E learning, RC, Technology, Project-based Learning, Personalized Learning. Many of these subjects will be new to parents who are not familiar with trends in curriculum and instruction, and information sessions will be a helpful means of parent orientation. What is the plan for special education; what’s the plan for students with IEPs and their service providers? What is the staffing plan for the Gibbs? What is the timing for decisions? What is the schedule for the remaining community forums leading up to the school opening? Can we get a schedule nailed down now? What is the final transportation plan? What is the after-school plan? We share your mission to make these forums and other community events successful. We also recognize the amount of work that goes into the planning and execution of these events. 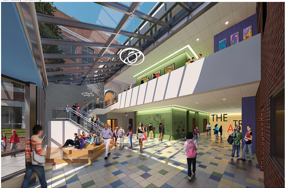 We encourage you to see us as a team willing to help craft your messaging around the plans for the Gibbs school. To that end, we ask that the Gibbs Parents Advisory Committee please have an opportunity to review and provide feedback on presentation materials in advance of the next public meeting. Our aim is to provide constructive feedback or highlight areas of potential confusion for community members who have not been as immersed in this process as we all have. The Arlington Recreation Department welcomes your preschooler (ages 2.9 – 5 years old) to join us in our licensed preschool program. The program is located at 352 Mass Avenue. Registration opens to NEW families on 2/1/2018. (Registration is currently open for EXISTING families.) Come visit during one of our OPEN HOUSES on January 17 & 18. Click HERE for more information and to register. Come join us for February Vacation Lunches! Tuesday, February 20- Friday, February 23. 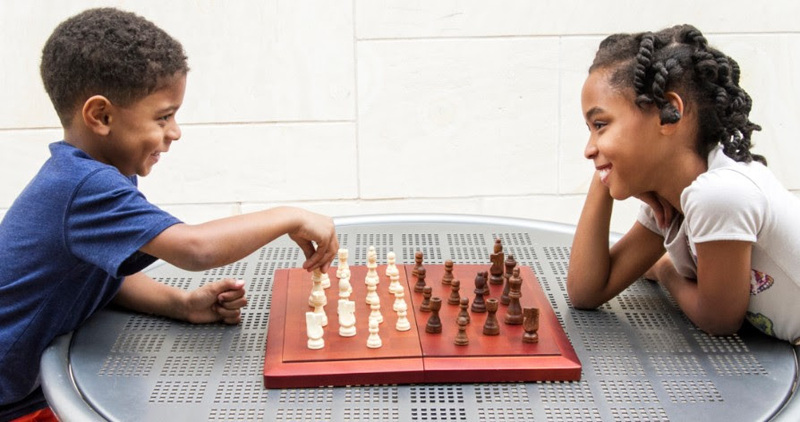 Does your child play chess, or are they interested in learning? 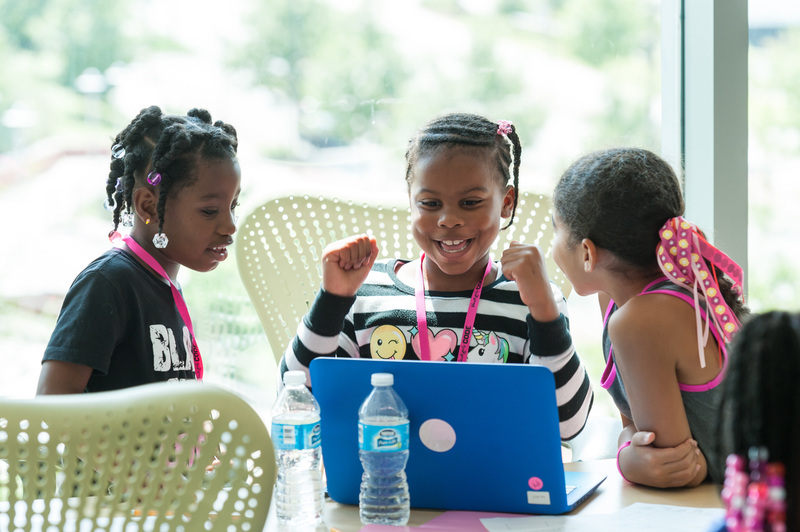 Black Girls CODE Boston Chapter Presents: Sphero Workshop! Saturday, March 10, 2018, 10am-4pm @ University of Massachusetts Boston, 100 William T. Morrissey Boulevard , Science Center (not the Integrated Science Complex), Boston MA 02125 Check-in begins at 9:15 AM. No prior programming experience is required. All girls age 7-17 are welcome. Participants do not need to bring their own laptops. Lunch will be provided. Stay updated on all Black Girls CODE student and volunteer opportunities by visiting our website and joining our mailing list. The Thompson PTO has many volunteer needs both small and big. If you’re looking for a way to give back to Thompson, here’s a list of ways you can help. Looking for board game enthusiasts to help us with this year’s Game Night. Join the planning team! The PTO is looking for a parent volunteer to put together an updated electronic Parent Handbook. There is a paper version from a few years back that needs updating with current information. 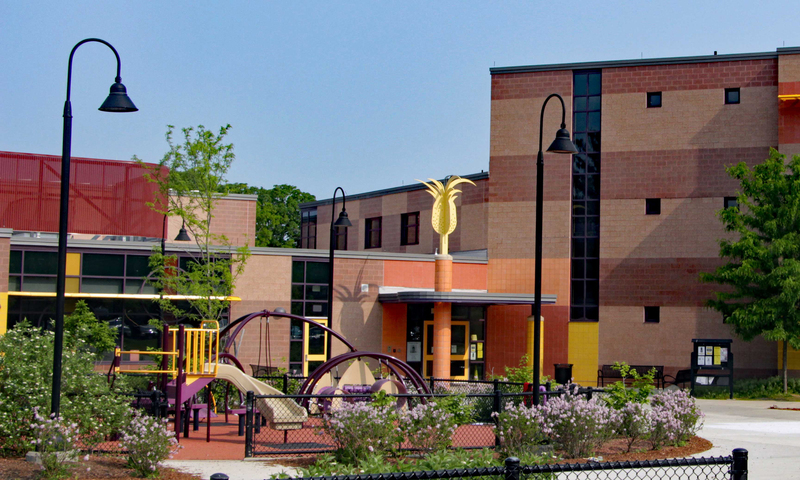 This will be the place where parents can find useful information such as drop-off and pick-up procedures, contact information for teachers, field trip information and all the things you wish you knew as a new parent to Thompson. If you’d like to volunteer from the comfort of your own home doing some typing and copying and pasting – this is the project for you. If you have news to share with the community, please email ThompsonPTOevents@gmail.com by Thursday at 12 noon to be included in the next newsletter. Please note that we will only include news from the Thompson School and Town of Arlington. Announcements of interest to the Thompson community from other non-profit organizations may be included at our discretion. January 26, Friday – Spirit Day, Color by Grade: K- purple, 1- green, 2- blue, 3- yellow, 4- red, 5- Rainbow-ALL the colors! As I write this update, out of the view of the TV, the Patriots are clawing their way to what will hopefully be a comeback victory! I love a close game, in both professional sports and with my own kiddos, but I do like to have a little bit of a cushion in the score! Now that the first round of snow piles are out of our way, we need to have a talk. On numerous occasions, I got reports from our Traffic Supervisors that they were having a challenging time keeping our children safe. I ask that you please follow their instructions, and respect their authority. I also ask that you respect the parking guidelines for TEACHER ONLY parking in the Purcell Lot and the spots on North Union. Have you heard? Our very own Ms. Jette is going to have her first book published! We are so proud of her and all that she has accomplished! Please take a moment to read this article about her and her book. And speaking of clawing one’s way back….unfortunately, I will be having another surgery on my foot this Wednesday. My plan is to return on Monday, Jan. 29th – back on my scooter. Watch out! There will be an administrator available during my absence as a resource to staff. I will do my best to reply in a timely to any emails I receive. With 1:40 left on the clock, the Patriots are up! We are all stuck in our spots as we are a bit superstitious around these parts! Kindergarten students enjoyed a visit from Kidstock Creative Theater on Friday, January 12. They watched and acted in three shows: Ferdinand, The King and The King, and Boy, I Love to Dance! The shows were chosen to teach the children about diversity, or celebrating the ways in which people are all different. We are pleased to announce that the annual Thompson School Wide Yearbook will be making a return for the 2017-2018 school year! Helping our children hold onto memories of friends from all across the school, the soft-covered 24-page book will display every class (K-5) with the individual school portraits taken by CoffeePond earlier this year, along with teachers and administration. The price is $13.00. For easy online ordering until Jan 31st, go to: www.coffeepond.com. A form will be sent home in your child’s folder this week that should be filled out and returned if your child had a retake photo or if, for any reason, you do not want your child to be included in the book. If you have any questions please direct them to Lisa at lisaslomba@gmail.com. —To submit a *Raffle Item: If you have a service or talent you’d like to offer as a raffle item, please do! Submit by Wed Jan 24 to yael.beals@gmail.com. Can’t wait. See you there! Are you a professional in a scientific field or just a lover of all things science related? We need volunteers to set up and run interactive tables at the Explo in March! We are having an organizational meeting at Thompson on Tuesday, January 23rd @ 7PM if you are interested in participating. Do you have a talent or service you’d like to contribute as a raffle item? Submit your proposal by Wed Jan 24 to yael.beals@gmail.com. Help is still needed with crucial things like set-up, break-down, checking people in, selling raffle tickets, etc. Most of these tasks require only 1/2 hour of your time, and are great ways to mingle and get to know other parents. The PTO needs someone to help promote the PTO/Amazon fundraising link. Thompson School earns 4-10% back on purchases made through the Thompson/Amazon page but shoppers must use the link on the PTO website. The Thompson School PTO owns and operates this website. We are an all-volunteer group of parents and teachers committed to enhancing our children’s experiences at the Thompson Elementary School. All email addresses are encoded to protect them from email harvesting bots.